Eltronicschool. - This is new version of Electronic Workbench (EWB) software that suitable with Windows 10. So, for you whom usually using EWB 5.12 for Windows that maybe not suitable with Windows 10, now you can change it into EWB version 1.002.0008 for Windows 10 easily. In this time we will give you global information about Electronic Workbench (EWB) and then we not forget to give you link to take free download EWB 1.02.0008 for Windows 10 from external server. When you are electronic student and hobbyist we think you will not foreign again with Electronic Workbench software or called EWB software. We think that this software very popular in electronic student because many electronic university or collage using Electronic Workbench to create electronic circuit and then simulate electronic project before realize into real implementation easily. When you using Electronic Workbench software to help your electronic project, you can draw electronic circuit schematic project using many tools that provided by EWB. You can choose many component that provided to draw your electronic project. When you want to draw the schematic circuit, you can firstly choose components that needed one by one. And then you can adjust your component according your electronic schematic. You can connected your components one by one according the circuit easily. and then you can continue to simulate your project. When you want to know how your project will work, you can choose many tools like AFG, Frequency Generator, etc. You can connected many measurement tool to your electronic circuit that drawing and then you can simulate your project to know the working of your circuit schematic.And it is will help you before you implemented your project to real project. 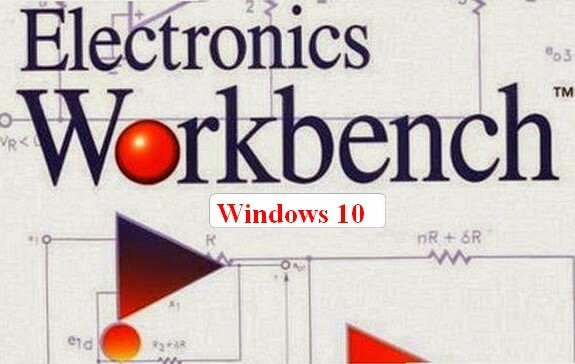 And now you can use link below to take free download Electronic Workbench (EWB) version 1.02.0008 for Windows 10 fully from external server easily.